It makes worrying reading as it shows that over half of the workforce are due to retire in the next 10 to 15 years and there is a shortage of new radiographers attracted to the profession. 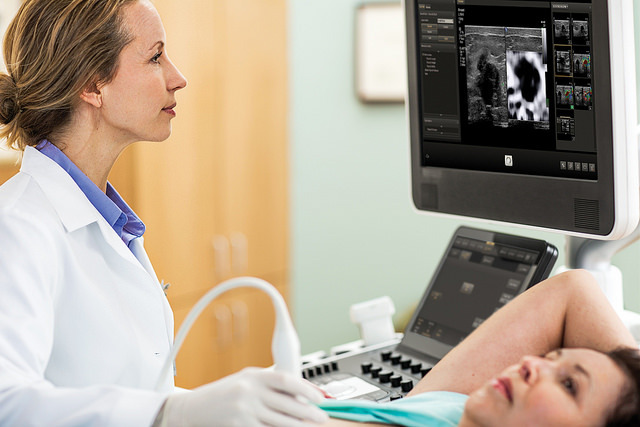 Radiographers take images of the insides of patients’ bodies to diagnose injury or disease. They are a crucial part of the programme, which routinely offers screening for women aged 50 to 70 every 3 years. The survey examined all 4 tiers of the radiographic workforce – assistant practitioner, practitioner, advanced practitioner and consultant practitioner. It analysed current staffing, vacancy rates, retirements, training routes and attitudes of radiographic staff to workforce issues. We introduced the 4-tier workforce in the early 2000s in response to rising demands on the service. Local screening services have gradually adopted this model. Our report echoes findings from the 2015 radiology workforce census which revealed an ageing workforce. It found that one third of radiologists were due to retire over the next 10 years and existing staff were delivering a significant proportion of their clinical workload as extra-contractual activity. PHE is working with the Society and College of Radiographers, Health Education England, NHS England, the breast training centres and universities to plan the response to the workforce challenge. Partnership working should ensure that breast screening offers an attractive career path for women who want to work in the world’s first (and arguably most prestigious) national breast screening programme. Interesting survey. I wonder if a similar insight in to the laboratory based cervical screening workforce might help to inform decisions on change in the cervical screening programme? Hi Phil, thank you for your comments. The cervical screening programme is actively undertaking work to inform planning for the future workforce and will report in the next financial year.